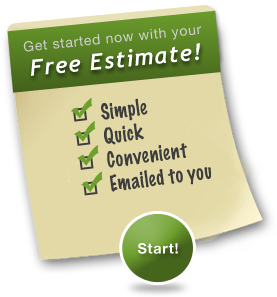 At Seattle Green Cleaner, we only use green cleaning products, green cleaning supplies and green cleaning methods. We want your house to be very clean. We also want cleaning to be safe for your family, your pets, our professional cleaners, and the environment. 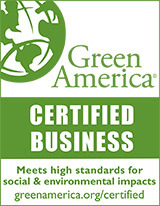 We are a truly green company! All products are plant-based, phosphate free, ammonia free, biodegradable, concentrated, containing no animal derived ingredients and are not tested on animals. Additionally, all cleaning products come in recyclable packaging and are purchased by the owner in bulk and in concentrated form (which reduces packaging). 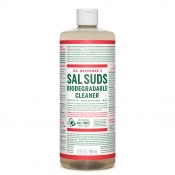 Sal Suds: We use Sal Suds Biodegradable Cleaner as a hard-surface all purpose cleaner, especially in greasy kitchens and on stainless steel. A few drops diluted in water can clean the whole kitchen! We purchase the 1 gallon concentrate containers in bulk. It is 100% cruelty-free, as certified by the Coalition for Consumer Information on Cosmetics, and it will biodegrade rapidly after doing its job. 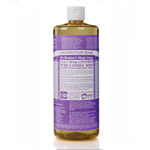 Castile Soap: We use this castile soap in the lavender scent as a bathtub scrub and for greasy surfaces. We purchase the 5 gallon concentrate containers in bulk. 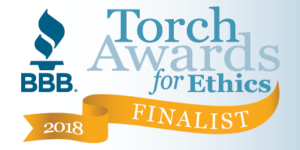 This product is certified Fair Trade, using essential oils that are certified by the USDA’s National Organic Program, and the bottles are made from 100% post-consumer recycled plastic. Bob's Red Mill: We use Bob's Red Mill baking soda (which doesn't contain aluminum) mixed with castile soap or Sal Suds as a slightly abrasive, foamy scrub. We sometimes mix with vinegar and salt to help unclog drains. 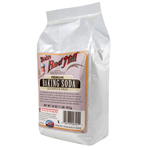 We purchase baking soda directly from Bob's Red Mill in 25 pound bags, always ordering in bulk. Bob's Red Mill is an employee owned company! 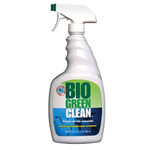 Bio Green Clean: We use this product on everything from counter tops to cabinets, glass to grease, stainless steel to sterling silver and beyond. 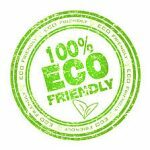 Unlike other so called "natural" cleaners, BIO GREEN CLEAN is made with 100% pure ingredients including purified water, amino acids, vitamins, minerals, leafy green vegetables, edible seeds and seed-bearing plants. BGC is safe to use around children, pets, plants and food. We purchase this product in bulk, concentrated, 1 gallon, recyclable containers. We add eucalyptus and lavender natural essential oils, to lightly scent the product, but also use it non-scented for those with sensitivities. 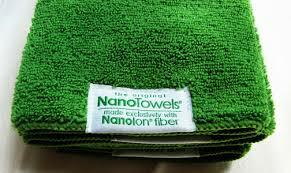 NanoTowels: We use these amazing towels instead of paper towels or other disposables. We wash them in our eco-friendly washing machine and dryer. 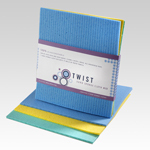 Twist Clean: We use these compostable/biodegradable sponges made from bamboo instead of paper towels or other disposables. Vinegar: We use vinegar primarily for unclogging slow drains (mixed with baking soda & salt), but also on some hardwood floors (upon the customer’s request). WARNING: If we are asked to use vinegar on floors and anything caustic has touched them (i.e. : toilet bowl cleaner, tile & grout cleaner, etc. ), it can create a violent reaction that may “burn” surfaces. Since we don’t use anything toxic, we will not be held responsible for any damage occurring from the mixture of vinegar & any caustic products you may have. We provide our professional house cleaners with all necessary tools, equipment and cleaning supplies necessary for a thorough job. Use of homeowner’s Products: If you prefer to supply your own cleaning products, we must have ample time to thoroughly research the product to make sure it meets our stringent standard of environmental responsibility and safety of our cleaners. If the product does not meet OUR standards of Earth/Human/Pet Friendly, we absolutely will not use the product. 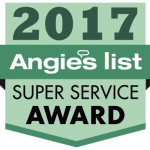 If the cleaning product you provide does meet our green standards and we use that product at your request, we will not be responsible for any damage associated with that product or solvent and the Satisfaction Guarantee will not apply.